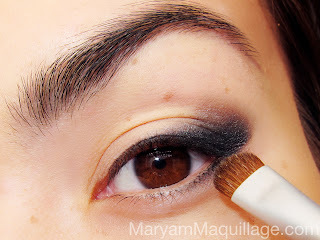 Maryam Maquillage: A Glossy Challenge: Day to Night Makeup Contest! aka first part of the prize for one of you! Check out my FIRST YOUTUBE VIDEO & SUBSCRIBE to my brand new CHANNEL!!! Daytime Look -- Subtle "Smokey Rosy"
STEP 1: Primer – Use Urban Decay Original Primer Potion to prime and prep the eye for makeup application. The result should be a clean and matte lid surface. 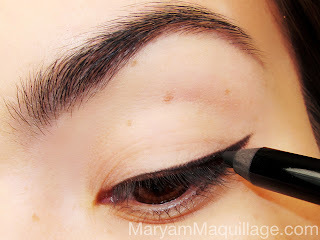 STEP 2: Liner – Line the top lash line with Make Up For Ever Aqua Eyes Waterproof Eyeliner Pencil in Black and extend the outer wing ever so slightly. 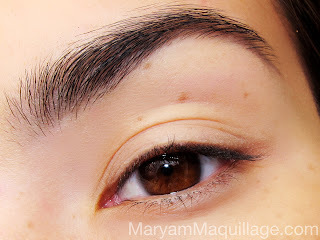 Also line the outer third of the lower lash line. 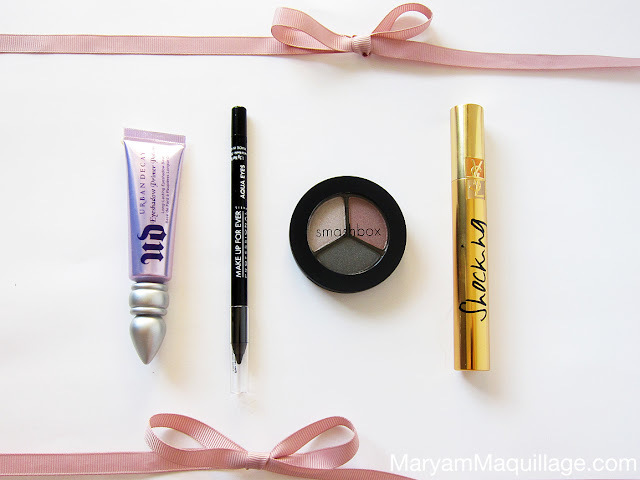 *Make Up For Ever Aqua Eyes Waterproof Eye Pencils are soft and smudgy -- perfect for the next step!